The identity management market is undergoing a period of renaissance. What used to be a sleepy market for a number of years, is now exploding with activity. The new generation of solutions are pushing the incumbents in the space, and creating new approaches to identity and access management for IT organizations. In particular, a new cloud IAM feature of cloud LDAP is changing how LDAP-based IT resources are being managed. Not only was the IAM market simpler years ago, but the IT networks were far more straightforward as well. Most of an organization’s IT resources were Microsoft Windows based and on-prem. Systems were Microsoft Windows-based and the applications that most people would use were also built on top of Windows. The cloud and remote applications that are so common today had not arrived yet. Networks were complex with network infrastructure and cabling that was required on-prem. Data centers were either on-prem or collocated, and connected back to the headquarters location via VPN. All of this was generally managed by Microsoft Active Directory® and/or OpenLDAP™. The Windows platforms and applications were largely handled by AD, while the data center infrastructure, Unix / Linux systems and servers, networking equipment, and more technical applications were all handled by OpenLDAP. This was often a challenge for IT admins and DevOps engineers, because they needed to manage two identity providers. As the IT market began to shift and morph, the complexity of the environment taxed the on-prem, legacy directory services solutions. 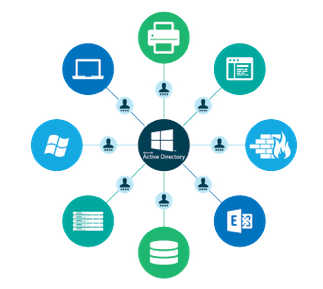 Microsoft Active Directory began to struggle with the introduction of Macs and Linux systems to the environment. In fact over time, Windows would become only one in five devices within an organization (Forbes). The data center started shifting to the cloud with providers like AWS and Google Cloud dominating the space. Linux systems became more popular, which of course was a major platform in the cloud. Applications would shift to the cloud, and they weren’t based on Windows authenticated through Active Directory. All of these changes created challenges for IT admins with respect to their identity management approach. The changes in the IT market created a new category of solution – cloud IAM. 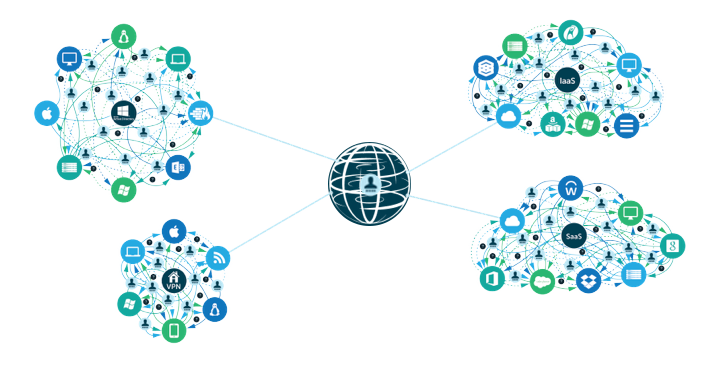 This approach to the IAM market was more than just a shift to the cloud. The cloud IAM platform Directory-as-a-Service® reimagined Active Directory and LDAP for the cloud era. This meant that a cloud IAM platform would be centralized user management, cloud LDAP, RADIUS-as-a-Service, system management, multi-factor authentication, True Single Sign-On™, and much more. 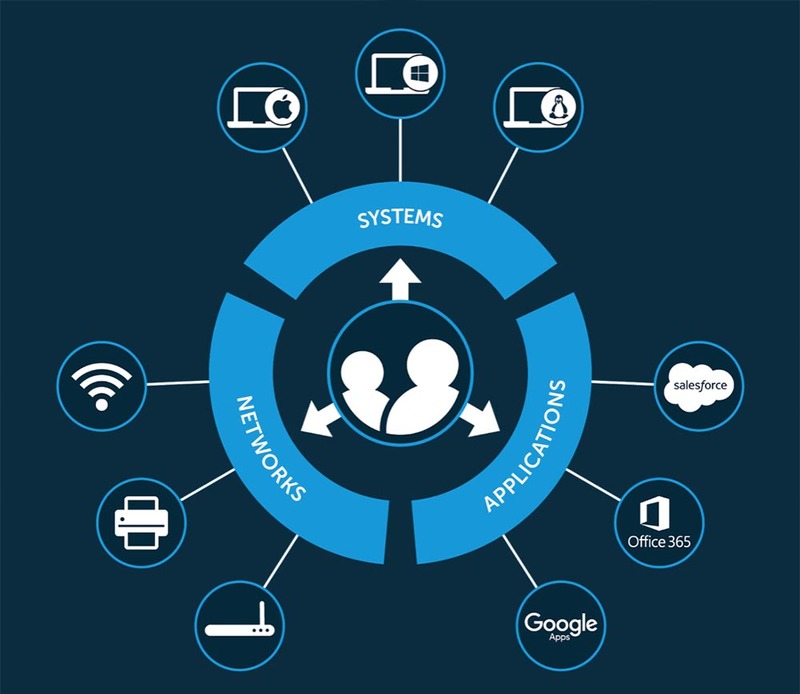 The idea was to securely manage and connect user identities to the IT resources those users needed including their systems (Windows, Mac, Linux), cloud and on-prem servers (e.g. AWS, Google Cloud), web and on-prem applications via SAML and LDAP, and wired and WiFi networks via RADIUS. The cloud IAM feature cloud LDAP was particularly interesting. IT admins had been struggling with installing, configuring, and maintaining LDAP on-prem. As an open source solution OpenLDAP was highly flexible, but painful to manage. The virtual LDAP solution in the cloud simplified the use and requirement for LDAP. 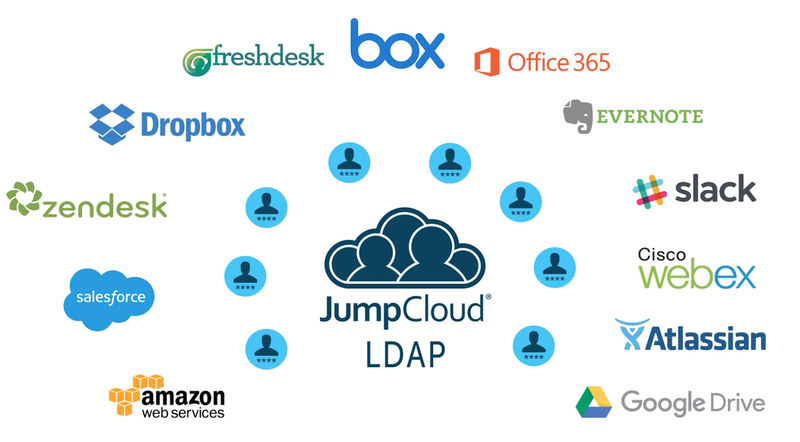 JumpCloud’s Directory-as-a-Service provides a turnkey cloud LDAP solution. IT admins can simply point their IT resources that required LDAP to the LDAP server in the cloud. No maintenance, installation, or configuration necessary. 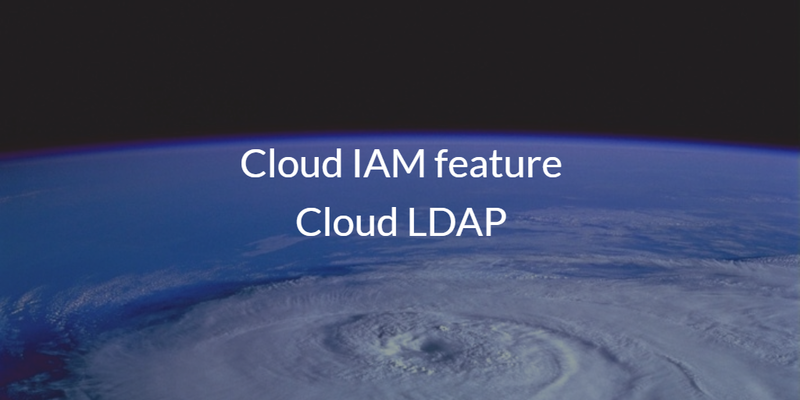 If you would like to learn more about the cloud IAM feature for cloud LDAP, drop us a note. Additionally, sign-up for a free cloud directory account and check out our virtual LDAP solution for yourself. Your first 10 users are free forever.